It’s not the seven-year-itch; it’s the one-year slump. You had some initial success with your search engine optimization campaign, but you’ve started to notice that your plan just isn’t working anymore. You’re not seeing the same traffic you once were and you might have even started to see your search engine page rankings start to slump. If that’s the case, it’s time to take a look at your existing plan and see if there are areas that you can improve, remove, or add to in order to reinvigorate what you’ve got. 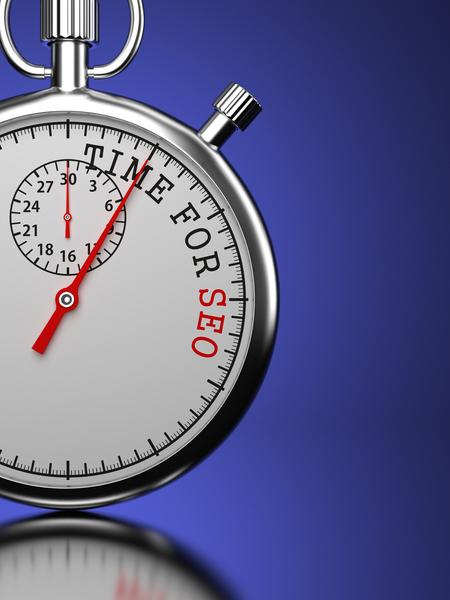 If your SEO campaign has started to slump, it may be because your own enthusiasm for it has started to slump. It’s easy to come up with fresh topics for your blog when you haven’t written anything on your blog and most of your knowledge is still inside your head. There are only so many ways you can approach the topic of implants vs. dentures before you start to feel like you’re writing the same thing over and over. Start looking for new topics so you won’t feel like you’re just raking the same information over the coals again and again. Posting once a month might mean that you’re are being consistent, but it likely won’t help you bring in as much traffic as you want. The more often you post, the more loyal your readers are likely to be. If there’s an entire month between posts, they are likely to forget about your blog and to find somewhere else to get their information. Fresh content, more often, means your dentist office is more likely to stick in their brains. 3. Don’t try to provide too much variety. It can be tempting to try to cover any tooth-related information, but it’s likely that you are driving people away from your website or your blog if your topics are too varied. Most readers will be coming to your blog because they want to read about specific topics—probably similar topics to what you’ve provided in the past. Too much variety, and they won’t bother taking the time to sift through the topics they don’t want to read to find the topics that are relevant. 4. Give one person total control of your blog. Here’s a trick that you definitely need to start doing, whether or not you need to reinvigorate your dental SEO: give one person autonomy to run your blog. This will increase consistency and decrease any brand voice confusion. The more control a single person has over the content on your blog, the more likely it is to hit all of the other criteria that your readers are looking for. When there are two or more people who all write the blogs and choose topics, it can start to appear very inconsistent. 5. Change the focus of your content. You’ve started to see interest in your content slump. This could mean that your readers are no longer interested in what you’re writing about. A good way to meter this lack of interest is to change your content’s focus. This might sound like it goes against some of the other instructions, but here’s why it doesn’t: if your current focus was working but has since stopped working, it’s probably because the needs or interests of your readers has changed. Changing your focus to keep up with your readers is different than changing your focus simply because you want to. 6. Market your old content. You might not have taken the time to actually market your old content on social media. Scrape up old blog posts that are still relevant, make sure they actually are still relevant, update them if necessary, and then post links to that content on your social media pages. This can help generate new interest for content that you’ve already written. 7. Start an email marketing campaign. While email marketing might not seem like it has anything to do with SEO, it can actually give you a huge boost when it comes to driving traffic to your webpage. Despite being one of the oldest “special features” of the internet, it is still one of the most frequently used, especially now that most people can access email on their smartphones. If you are looking for a great way to reach out to people through content, an email list for your past patients is a great way to do this and by providing useful content or links to useful content in those emails, you are improving the reach of that content. If you’re tired of hearing us talk about how important guest posting is, too bad. Here it is again: guest posting is one of the best ways to lift your page rankings and it is one of the best things to do if your page rankings have started to slump. There are plenty of blogs that post about dentist and dentist-related topics. Get your voice heard by offering to write posts for those blogs. Broken links and slow-loading images and videos can drag down even the best dental SEO campaign. If you haven’t spent some time clicking around your own website or investigating its bones to make sure it is still running properly, you might be undermining your own SEO without realizing it. 10. Make sure all your basics are in order. Are your meta descriptions snappy and effective? 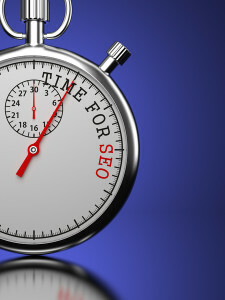 All of these things factor into how well your SEO works. Even one factor out of line can drag down the rest of your efforts.